Nestled on the Lake Michigan shore in the village of Baileys Harbor, Wisconsin, the Blacksmith Inn on the Shore blends bed and breakfast charm with contemporary amenities. Each of their fifteen private guest rooms features an in-room whirlpool, fireplace, private balcony, and extraordinary harbor view. Situated on 2.5 acres of beachfront property on Lake Michigan, Blacksmith Inn’s property includes the historic three-story Zahn House, two-story Harbor House, two-story Orchard House, and a dock. 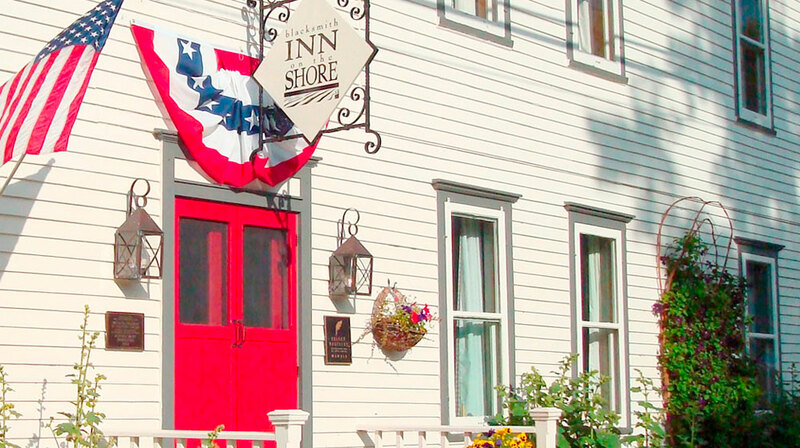 During the busy tourist season, the Inn employs a staff of 12 people. According to Bryan Nelson, owner and innkeeper of Blacksmith Inn, the ability to receive internal and external calls was critical to both customer service and sales. “Our desk people need to be able to move around the property but still remain in touch with our existing guests and incoming calls,” he explained. Nelson explained that out of frustration he turned to the vendor who installed his PBX system. “When I called the vendor who installed our PBX system, his proposal was to sell us a solution that would require the installation of repeaters around the property at a cost of $5,000.” Discouraged by the cost-prohibitive proposal, Nelson began to do his own research to find a cordless phone solution that would deliver the range, clarity and reliability he required to effectively run his business. Nelson explained that his research for a new cordless phone solution started and ended with an Internet search in 2004. “I did a search for ‘long-range cordless phone’ and found EnGenius DuraFon 1X and decided to give it a try,” he explained. Operating on the 900MHz frequency, Nelson knew that the DuraFon would be unaffected by the Wi-Fi network. In addition to the promise of long range, durability and reliability, Nelson was also very interested in the DuraFon’s two-way intercom capability, a feature that he did not have with his previous system. “Our property has a lot of nooks and crannies so the ability for our staff members to move around the property and still be able locate each other immediately using a walkie-talkie function is critical,” Nelson stated. According to Nelson, the DuraFon system has delivered everything he was looking for in a cordless telephone system: reliability, extended range, clarity and cost savings. “It’s such an easy solution for a small business person who wears a lot of hats and has to cover a lot of ground. It has allowed us to be completely free to move around the property and still conduct business,” Nelson concluded.